Finding a great deal on a German Hackamore can be difficult. But do not worry as we have a vast selection of Hackamore items that are not just made of superb quality but also affordable. 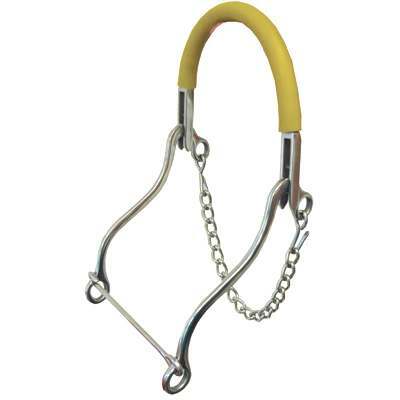 This German Hackamore with Gum Rubber Nose Band is made of solid stainless steel and has 8 1/2'' shanks. This horse german hackamore is also rubber gum covered. When buying from us you can rest assured you will be purchasing a great product.